With an angry letter, Republicans will try to take the President's climate change initiatives to the Supreme Court. A campaign to stop President Obama’s attempts to curb green house gases emitted from power plants is well under way as 16 states moved to put the measures on hold in order to give the Senate a chance to find a way to stop their full implementation. “Our electrical security is going to be put in jeopardy if this president puts these types of regulations in place,” said Texas Governor and 2016 presidential candidate Rick Perry. The movement is led by Attorney General of West Virginia, Patrick Morrisey. He submitted a letter to the Environmental Protection Agency that was signed by the politicians of 15 other states. The letter asked for the new rules on power plants to be suspended in order to allow the opposition to question their legality. The EPA and White House have both stood by the legality of the new regulations. Many believe the opposition letter was really just a political maneuver. The formal request will be registered and can therefore be used in later attempts to get out of adhering to emissions limits. The 16 states acted quickly after Obama unveiled the final version of the rules, the first ever to limit carbon dioxide emissions from existing power plants. Bolstered by the Supreme Courts decision in June to turn over Obama’s mercury limits, the opposition is hoping that these new regulations will eventually be thrown out as well. 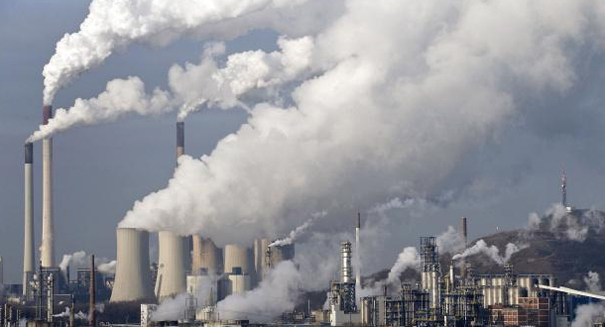 Obama’s plan mandates a 32 percent cut in carbon emissions by 2030. The limitations on power plant emissions is the centerpiece of his plan to combat climate change. Unsurprisingly, most of the opposition is comprised of Republicans. However, two Democrats from the coal-producing state of Kentucky have also signed the letter. There is little chance the new regulations will be blocked by anything other than a Supreme Court decision. Nonetheless, Congress is trying its best to derail the project. On Wednesday, a vote in the GOP-controlled Senate Environment and Public Works Committee passed a bill blocking the standards by a voice vote. Democrats had walked out of the meeting in protest. Lacking the necessary quorum for a vote, Republican Chairman Jim Inhofe of Oklahoma reconvened the meeting in a lunchroom just off the Senate floor. There, a voice vote approved the bill, sending it to the full Senate. A filibuster battle is expected to ensue. Obama as vowed to veto any legislation that would block his new climate change initiatives.